Hospitals can often be stigmatising and abusive spaces for transgender patients who seek out healthcare. The lived experiences of transgender people can sometimes differ vastly to those of their cisgender counterparts when it comes to everyday activities and spaces like healthcare facilities. Conversations about transgender healthcare should be as nuanced as the needs of this community and should happen at different levels. Trans-specific healthcare would include therapies such as hormone replacement therapy (HRT), or gender-affirming therapies and surgeries. Surgery on one’s vocal chords to feminise the voice, having ‘top’ surgery to have breasts removed or augmented, ‘bottom’ surgery like gender reassignment, and accessing treatments like hair removal and electrolysis are examples of the common but lesser known medical interventions needed by the transgender community. 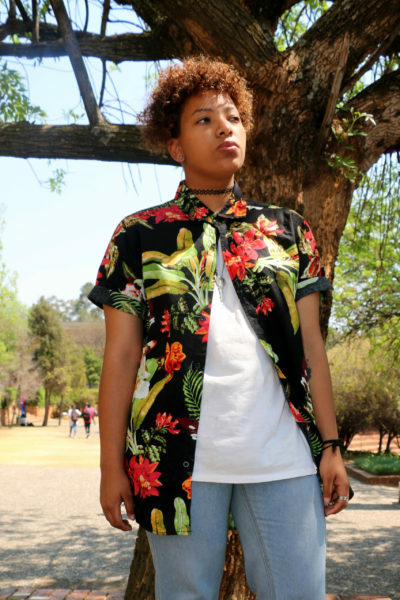 ACTIVATE: Spokesperson for Wits Activate, Jess Alexander, says it’s a very basic concept to understand and respect someone’s sexuality. Photo: Elizabeth-Jane Ringrose. Counselling psychologist Jonathan Bosworth who has a special interest in the LGBTQ+ community, said, “I think in South Africa we do have a problem with trans people accessing trans-specific healthcare services”. Access to these therapies depends on access to the right doctors and hospitals in urban areas, access to pharmacies that have HRT stock and access to doctors who have the appropriate range of skills and knowledge. Discovery may pay for consultations and general health needs but gender-affirming surgeries have to undergo a review before being authorised. “If it’s something medically necessary they will approve unless it’s a general exclusion.” On its list of exclusions under its KeyCare plan, Discovery lists “Reconstructive treatment and surgery, including cosmetic procedures and treatment” as well as “breast reductions or enlargements”. The situation is even worse for individuals dependent on the public health system. Of the more than 400 public hospitals in South Africa, only three, Chris Hani Baragwanath in Soweto, Steve Biko in Pretoria and Groote Schuur in Cape Town, officially provide services for transgender patients in their gender clinics. Such is the need for the surgeries that the waiting list at Groote Schuur for transgender women to have bottom surgery has reached the 25-year mark. In other public sector facilities, services may be provided on an ad-hoc, unofficial basis contingent on the staff working there. 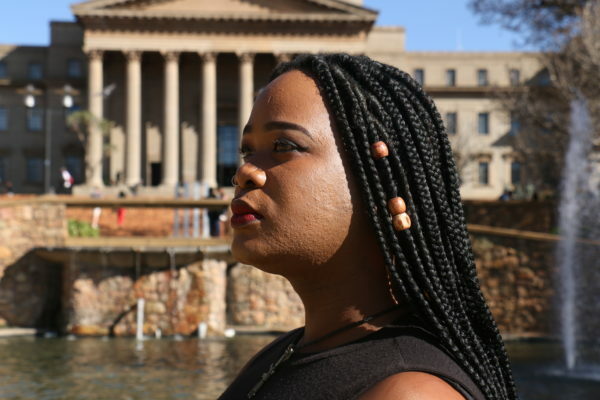 Second-year BA student at Wits, Seoketsi Mooketsi, recounted her experience of a public healthcare facility as a trans woman. Mooketsi said that she was assaulted in November of last year. In order to open a case of assault at the police station, she had to have a J88 form filled out – a legal document which lists the injuries sustained by a victim when a legal investigation is set to follow. In an attempt to have this form filled out, she went to her local clinic in her hometown of Schweizer-Reneke in the North West. However, Mooketsi said, “The doctor that was supposed to have assisted refused, like utterly refused, to assist me any further. He was so violent and kept on misgendering me even after my sister had called him out, saying this person is actually a transwoman, so respect her gender identity.” Mooketsi says she will never go back to her local clinic after her experience, an issue which can potentially become problematic should she require healthcare in the future. Even when trans people gain access to acceptable levels of healthcare, the issue of documentation remains problematic. Spokesperson for Wits Activate, Jess Alexander, explained, “It’s just the uncomfortableness of having to basically box themselves in in order to get the healthcare that they need.” Often the identity documents one needs to submit at the hospital don’t reflect a transgender person’s preferred gender. Alexander said that certain medication can get withheld from patients because the documentation doesn’t match the person in front of the doctor. Iranti is in the process of launching a campaign called Trans Health Without Borders which will look at the lack of access to healthcare and gender-specific care. Still in its conceptual phase, it’s an initiative by different trans-led organisations globally which are trying to assess the immediate needs that trans people are experiencing in accessing healthcare and working out how those needs can be addressed collaboratively.